Employees at the state’s two juvenile detention centers are being injured and going out on workers’ compensation at significantly higher rates than usual, leading to increased risks for the remaining staff and the children held in the facilities, union officials say. Those able-bodied staff remaining are left to work mandated overtime shifts multiple times a week, said Ron Nelson vice president for the union and juvenile detention officer at the Bridgeport facility, resulting in exhaustion and potentially unsafe conditions for the juveniles housed in Bridgeport and Hartford. Between January 1 and September 10 of 2018, there were 96 reported injuries at the Bridgeport and Hartford facilities, more than double the total last year, according to data from the Worker’s Compensation Commission. Those remaining at work are left to cover the 36 shifts each day, leading to increased use of mandatory overtime for all employees. Working 16-hour shifts multiple times per week has led several employees to the brink of exhaustion, workers themselves and their union officials said, putting both the children and employees at risk. Roberge added that the staffing issues currently being experienced at the centers are not necessarily unique. More than 30 percent of the staff at the state’s Bridgeport juvenile detention center was out on full worker’s compensation the first two weeks of August, according to the facility shift schedule, due to rising rates of employee injuries. 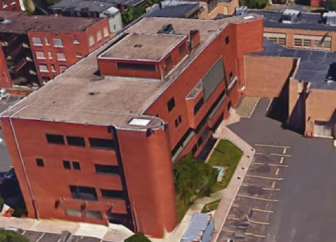 The staffing problems at both the Bridgeport and Hartford centers are so serious, according to juvenile detention officers and union officials, that they are driving some long-time, dedicated employees out of state service. Union officials attribute staffing problems — at least in part — to the closure of the Connecticut Juvenile Training School (CJTS) in Middletown, which resulted in the transfer of its entire population into the state’s two juvenile detention centers, which are run by the Judicial Department. The juveniles who were formerly housed at CJTS, which was under the jurisdiction of the Department of Children and Families, are considered the most severe cases in the system and are typically repeat offenders who require longer incarceration and more intensive treatment. These juveniles entered the detention centers this summer, increasing stress on a system that was already coping with the loss of 40 employees during a round of layoffs in 2016. Although the Judicial Department is in the process of hiring more staff, union officials say it might not suffice given the seriousness of the problems. Ron Nelson, the vice president of Council 4 Local 749 union and a juvenile detention officer in Bridgeport. This concerns Abby Anderson, the executive director of the Connecticut Juvenile Justice Alliance. “Kids who have significant trauma backgrounds and are now detained are going to be tough to deal with. If individuals have to work long shifts, are forced to do overtime, etc., how can they possibly be fresh and able to handle adolescent behavior calmly and in a de-escalating manner?” asked Anderson. “I’m not excusing poor behavior and I am sympathetic to workers getting hurt. My concern is whether we are setting kids and adults up to fail and then being surprised and blaming the kids alone when there is failure,” he added. The judicial branch has been up front about the increase in overtime hours worked, but it is hoping with 18 new hires this summer and 25 more coming on in October to reduce this problem. The transfer of juveniles from CJTS to the detention centers is not meant to be a permanent solution. The judicial branch is sending out an RFP for secure, locked facilities that would house six to 10 boys each. State officials hope to have three of these facilities operational by the start of 2019, providing 25 to 30 secure beds across the state. It is estimated that each facility will cost approximately $2.5 million annually, according to the office of fiscal analysis. Union members and current employees, however, are less hopeful about the impact new recruits and facilities will make. 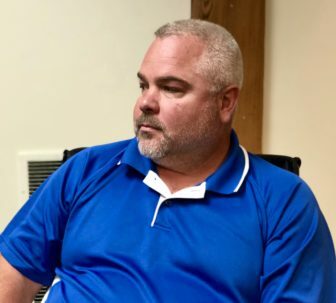 In the past two weeks alone, for example, two of the eight employees who started at Bridgeport have resigned, Nelson said. And it isn’t just new officers who are walking out. Aimee Arsenault was one of those in September 2017. Arsenault worked at the Bridgeport facility for five years before she quit. She said the conditions for female employees worsened considerably following the 2016 layoffs and staffing policy changes. When Arsenault was working there were a total of six or seven women to cover three daily shifts seven days per week. Several other juvenile detention officers, who did not want their names used for fear of retaliation, described even worse working conditions and expressed concerns about the toll that exhaustion and stress are taking on their job performance. In response to these altered working conditions, several grievances have now been filed. Some of these include complaints that detention officers are being mandated to work overtime two days in a row and that female officers are being forced to work on their weekends off. Both are in violation of the judicial department’s policy. These grievances are not the first of their kind. After the judicial department altered its staffing policies and laid off 40 juvenile detention officers in 2016, 11 claims and two state prohibited practice complaints were filed. Of the 11 claims, only three were granted any award, according to data provided by the worker’s compensation commission. The prohibited practice claims addressed the refusal of the judicial department to discuss grievances with the union and reductions in staffing levels that caused unsafe working environments. They were heard for the first time in court last week. The complaints have been continued and no imminent resolution is expected, Dorman said. The recent grievances have been denied and the union is considering filing for arbitration.